The king of the taste of winter "When the bliss that tastes Maboroshi no Taiza Crab"
Fresh local fish landing at the Taiza Fishing Port is full of sashimi for the time being. Taiza Port owner, who is also a broker of the Taiza Port, buys fresh local fish at the straw every day. With eyes that he cultivated for many years, he sees the material of the season and bids himself. The local fish that you dropped seri lined up to your table on that day. "I want you to enjoy the real freshness"
Therefore, we will strictly adhere to the ingredients of the dish. Also, it is possible to offer abalone, scallop, Pink sea urchin caught in raw dive fishing "Jukaitei". Unlike what you get with a ship, there are no scratches and it is only a sure thing. 【King of summer taste】Large grain and pre-crest Iwagaki (oyster) called "sea milk" spread abundant umami, scent of the iso! Tango Peninsula large grain "Iwagaki (oyster)" with a prepuri to be lodged at the Maizuru port in the Tango Peninsula a taste of summer that can be enjoyed for a limited time from Tango's early summer to the summer. 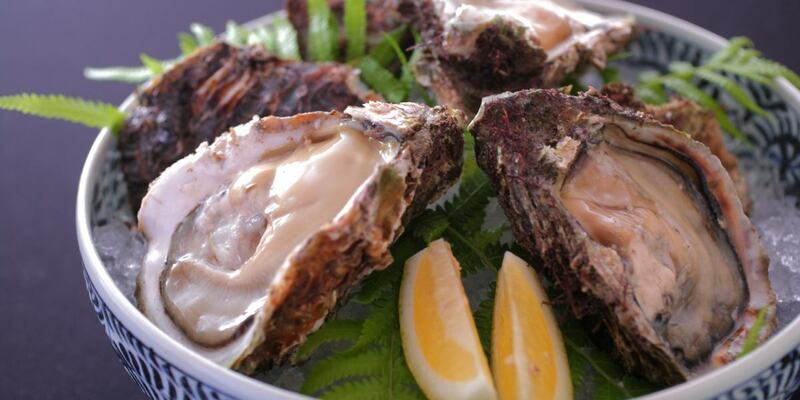 "Iwagaki (oyster)" called "milk of the sea" because it is rich and creamy. Please feel tasty with raw as you feel the scent of the island so that you can feel the sweetness to the utmost in your mouth! Taste the sweetness of the "phantom Pink sea urchin" that was captured by Taiza who are "taste of only summer". "Pink sea urchin" caught by a Taiza who is the highest grade item among Pink sea urchin. All "Pink sea urchin" used in this facility are not used alum. Because it smells if it is not fresh, it is the most delicious to break the living things and eat it immediately. The rich taste and sweetness that melts in your mouth are "special taste that you can not forget if you eat", and the taste of happiness spreads in your mouth. Many repeaters come to this "Jukaitei" every year for the sea urchin of this season. 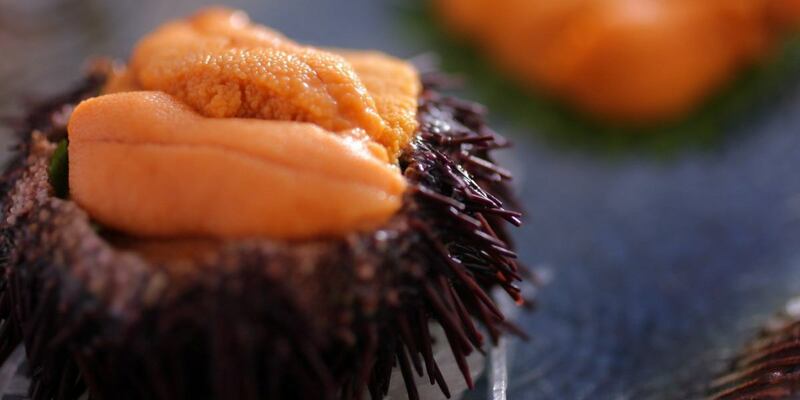 "Phantom Pink sea urchin" caught by an Taiza is a rich taste. With natural raw black abalone captured by a Taiza being sashimi Taiza texture of colicoli is unbearable. Taiza the natural "black abalone" caught by an Taiza with sashimi and dancing. 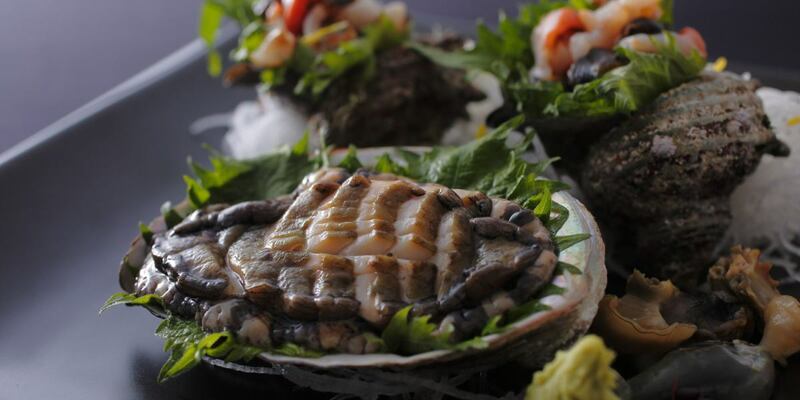 What we will offer at the hotel is a superb natural black abalone that is tempered by the waves of the Sea of ​​Japan, its shell is small and its body is thick. 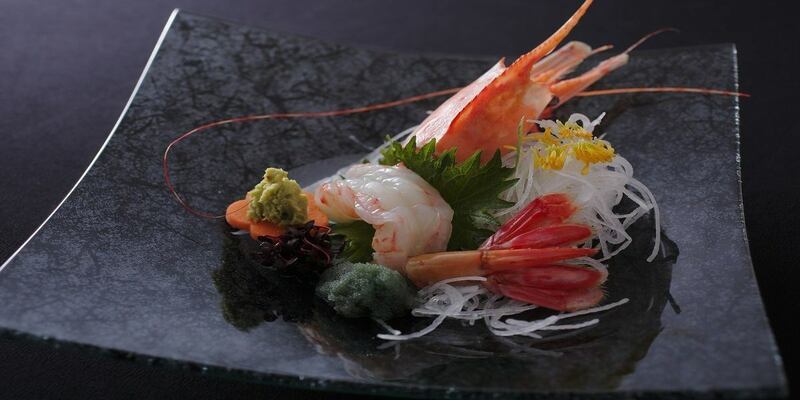 The taste and feel that confined the scent of the iso and the umami of seafood tightly spread in the mouth. 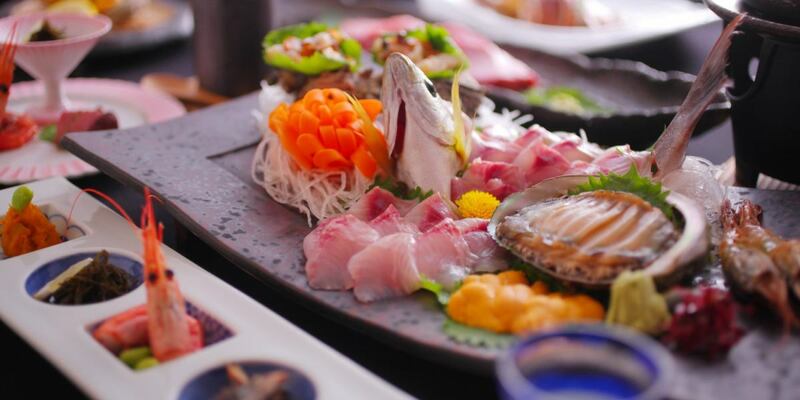 If it is sashimi you will find the texture of colicoli, if you dance you will enjoy the taste of natural black abalone. Please enjoy delicious Kyoto Tamba Beef Steak like Toro. 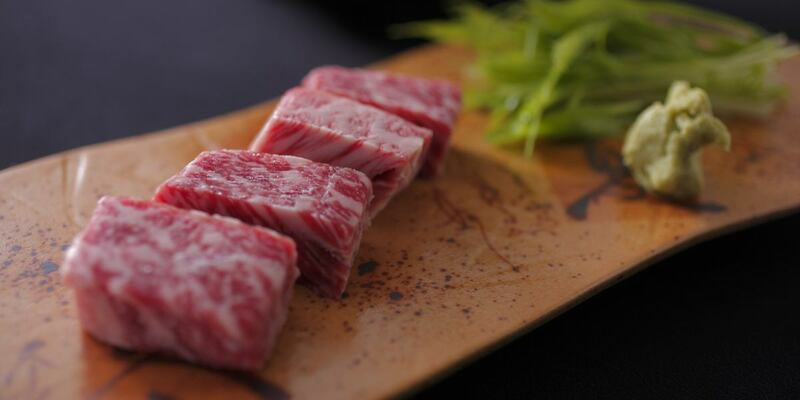 Not only fish dishes at this facility, plan to enjoy the plan and Kuroge Wagyu Beef using the Premium Beef Tamba Beef of Kyoto Tamba carefully selected are also available. Tamba Beef Kyoto's "Izutsuya" is characterized by fine marbling and the texture melting in the mouth is exquisite.Please taste it with rock salt or special sauce. Please enjoy carefully selected Kuroge Wagyu Beef with shabu shabu or Kuroge Wagyu Beef Broiled Sushi. Wagyu beef is not concerned with the production area, we will offer delicious meat with good condition at that time! Please enjoy delicious plenty of Kuroge Wagyu Beef in luxuriously with shabu-shabu and meat sushi. I enjoyed sushi with the shrimp that was landing at the Taiza Fishing Port. Taiza Fishing Port shrimp landed in an Taiza Fishing Port, sometimes there are times when oversized ground prawns exceeding 20 cm are landing, some rare gems are picked up only a few but are sweeter than button shrimps, sweet shrimp and sweet shrimp You can enjoy sweetness and mellow texture that you can not imagine from the appearance, such as white shrimp that is said to be. Grilled crabs which is the most popular way of eating in our hotel ... Enjoy the original sweetness of the Taiza Crab! The highest-grade brand of "Taiza Crab" of Matsuba crab, which is caught off the Tango Peninsula Kyogamisaki, boasts outstanding freshness which was live while living on that day. It is a blissful time that you can taste the "king of winter taste" called "phantom crab" because it is acquired with a small boat of only 5 ships. We will offer only "Taiza Crab" carefully selected with the eyes that the owner, who is also a middle broker of the port, has cultivated over many years of experience. 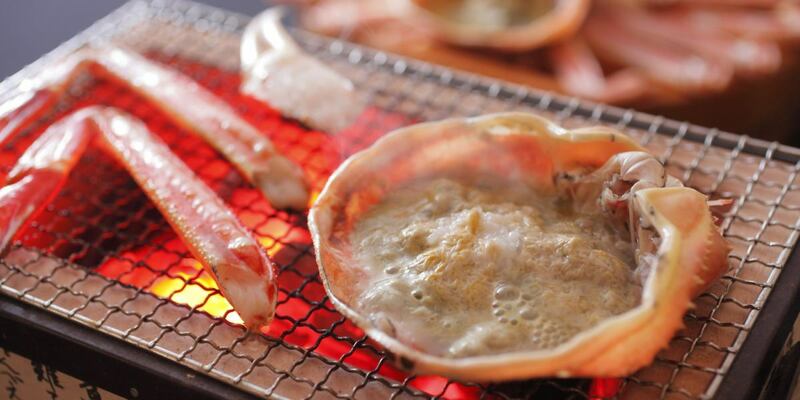 ※The crab plan is seasonal limited from November 7 to the end of March of the following year. Taiza Crab is famous as "a phantom crab" as you know. As for why (a phantom crab), the crab is excellent in freshness at a small fishing port day trip, and it does not compare with other crabs such as sweet taste and how to tighten.There is not too much trapping amount so we can not eat inside of the local people. Many also in magazines, television, etc., are taken up as visionary crabs. 【2 Taiza crabs careful selection】In response to the customer's voice 2 Taiza crabs with two people in your favorite way to eat!